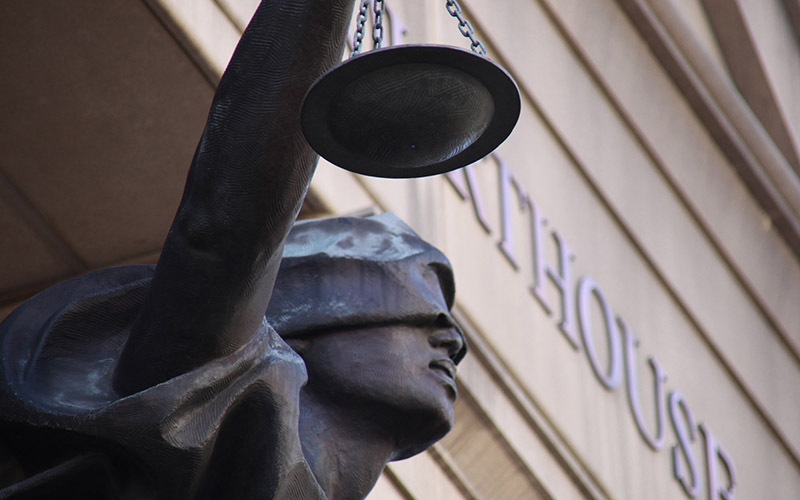 WASHINGTON – A federal appeals court overturned an immigration board’s decision to deport an Arizona man to his native El Salvador, rejecting the board’s “glib characterization” that murders, beatings and home invasions did not constitute persecution. Stender said that in 30 years practicing law, he never has seen a case take this long, but that Wednesday’s ruling should give hope to others that it is possible to win, even after many years. Quiroz Parada was 17 when he fled his country in 1991 during the Salvadoran civil war. At the time, he and his family had been threatened, beaten and killed by Frente Farabundo Martí Para la Liberación Nacional fighters because of his brother’s military service, among other reasons. FMLN guerillas murdered his brother in 1989, broke into the family’s home on at least three occasions and repeatedly came into his village yelling the family’s name, court documents state. Quiroz Parada himself was kidnapped and beaten unconscious at one point. In the years since, FMLN became a political party that has risen to power in El Salvador. At the same time, the court said, the country has been plagued by the rise of the Mara Salvatrucha gang, which includes many sons of FMLN members. Quiroz Parada applied for asylum in the U.S. in 1994 but it was not until May 2007, 13 years later, that he was interviewed by a Homeland Security officer. By February 2008, he had been ordered deported by an immigration judge for entering the country illegally. He then sought asylum – and had to wait another five years to get a hearing on that request. But when the immigration judge heard the asylum case in November 2012, he based his decision on State Department reports on El Salvador from Quiroz Parada’s 2007 interview. Those documents claimed the situation in El Salvador was stable. In 2013, Quiroz Parada was denied asylum due to what the immigration judge saw as a lack of “substantial evidence” proving he is at risk of persecution if he returns. But the 9th Circuit panel noted that the 2007 reports on the situation with human rights in El Salvador were from a time “when the government was run by a different political party.” The FMLN took power in 2009 and MS has since risen in the countryside, the court said. The appeals court stayed the BIA’s deportation decision while the Justice Department reconsiders his asylum claim. Stender said Quiroz Parada – who has lived in the country for 27 years and is the sole provider for his wife and three children in Arizona – will probably have to wait another year or two for the next decision.